Our 3 hour clinic is for women who have no experience on a mountain bike and would like to learn the fundamentals of riding in a fun, safe, professional, and supportive environment. 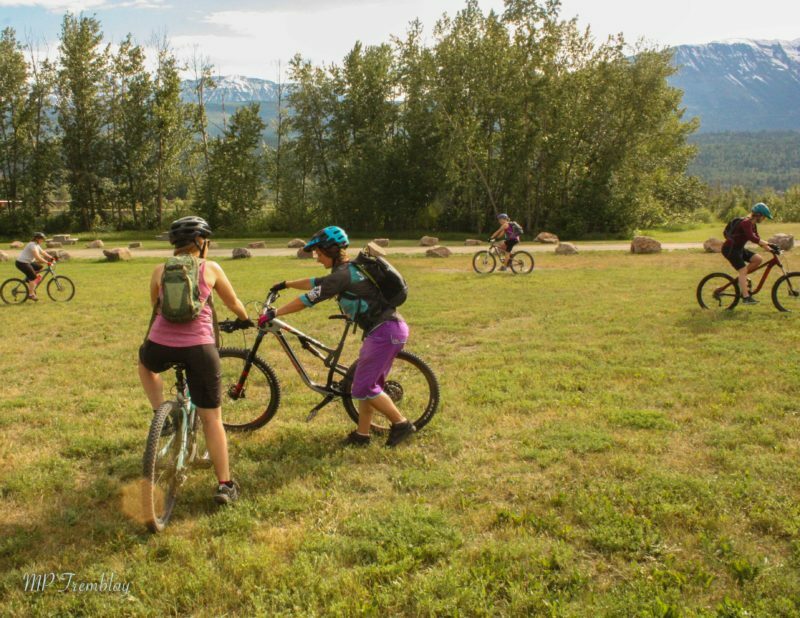 Our three hour clinic is for women who have no experience on a mountain bike and would like to learn the fundamentals of riding in a fun, safe, professional, and supportive environment. The evening will cover basic information about the bike itself, how to ride a mountain bike, and a short ride on singletrack trails in Fish Creek Park to apply what you learn on the field. Our three hour clinic is the perfect way to get into mountain biking, and have fun with your new Shred Sisters friends! Cost: $85 + GST **By registering to this course you will receive a $35 discount to register to any of our other courses. Testimonial: My boyfriend couldn’t believe how much my biking confidence changed in such a short period of time. I would never go biking with him because I was petrified of getting hurt and now I’m leaving him in the dust on the uphills and able to keep up now on the downhill. I love that I am able to now enjoy riding with him and not staying back missing out. Highly recommend this course, learning from other females is the way to go.